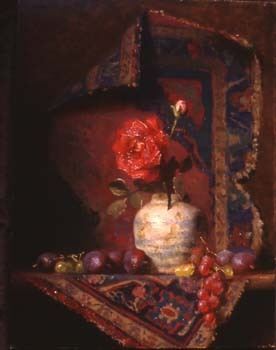 The painting "Rose" won an award at the 12th Annual National Juried Exhibition of the Oil Painters of America (OPA), May 1 to June 1, 2003 at Nichols Taos Fine Art Gallery in Taos, New Mexico. From the works of 1,200 OPA members, only 180 paintings were selected for this prestigious national show of the top representational oil painters in the United States & Canada. 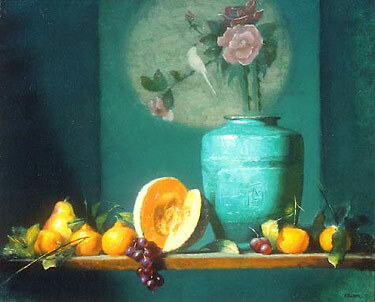 "Orange and Turquoise" won an award at the Salon International 2003 show at the Greenhouse Gallery in San Antonio, Texas. This was a juried exhibition of more than 200 Oil Paintings, seeking and promoting artistic excellence.